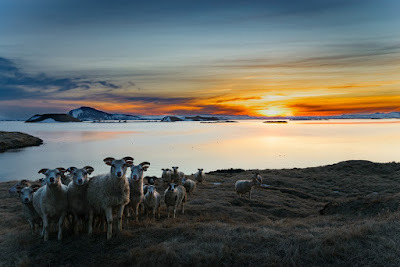 - Iceland 24 - Iceland Travel and Info Guide : How Do Icelanders Deal With the Darkness? It’s 9:03 in the morning here in Reykjavik and it's still pitch black with darkness. 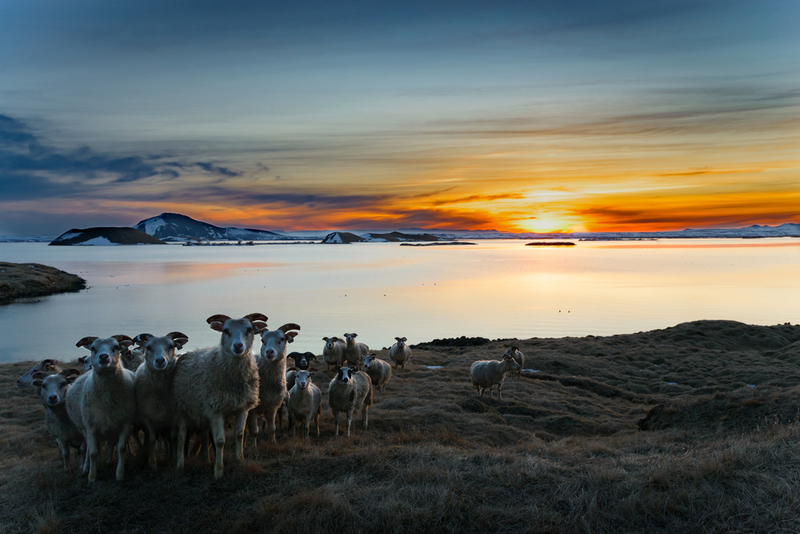 According to the Iceland Meteorological Office, today we should expect the sun to rise at 11:06. But the sun will go to bed again at 16:04. Yes, that’s right. That’s barely five hours of daylight. Most of our readers come from countries where, on an average, they have at least 8-10 hours of sunlight during the winter time. So it might be a bit hard to understand how it is to live with a constant lack of light. As an Icelander myself, I get asked many questions constantly. 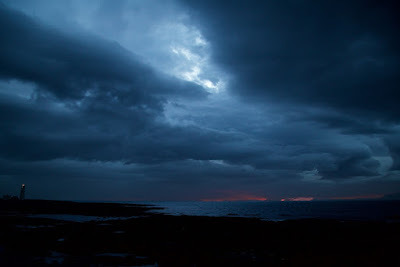 Probably one of the most common questions that is not related to tourism is how do Icelanders deal with the darkness? If you also want to find the answer to that question, then grab a snack, get comfortable and read our article. Most people know that at the North and South Pole there are essentially six months of endless daylight and six months of never-ending night. But not many know the reason behind it. So I’m here to try to explain this natural phenomenon. Get out your science cap, it’s geek time! Just imagine our beautiful planet earth. Ok, then zoom out until you can visualize the earth and the sun. We all know the earth revolves around the sun in a not so perfect circular motion. That is called translation movement, and it takes up to 365 days to complete. In other words, one year of life on earth. But at the same time, our beautiful speck of a blue planet is rotating upon itself. This rotation takes 24 hours or a day of our lives. But how does this affect light? Well If the earth were in a straight position, it would be summer in Europe as well as in Australia at the very same time. This is because both the southern and the northern part of the planet would be at the same distance from the sun. But we all know that does not happen. The Northern Hemisphere and the Southern Hemisphere have opposite seasons. That happens because the earth isn’t straight up and down. It tilts on an axis at an angle of 23.5 degrees. The earth’s poles create an imaginary diagonal line. So depending on the movement point the earth is on, the light of the sun differs. Sometimes the Northern hemisphere is away from the sun while the Southern one angles towards the sun. And vice versa, of course. This effect is more extreme at the poles. In Iceland, we don’t have six months of darkness as we are not at the North Pole itself. But we’re pretty close to it. And that’s why during the summertime we get almost 23 hours of daylight. In the winter, we barely receive five hours. So How Do Icelanders Deal With the Darkness? I understand it can be very hard for some foreigners to cope with so much darkness. I’m not going to lie, it is still hard for most of us, but I guess we’re used to it. When we get up in the morning, it’s dark. When we leave the office to go back home, it’s still dark. These fleeting, short days and lack sunlight can affect our health and well-being. We may not get enough melatonin during the season, which can lead to sleeping disorders. Also, with darkness comes moody temperaments and even depression. Lack of Vitamin D is also a problem. That is why it is so important for us to know how to deal with the darkness. Life can still be enjoyable. These are some of our best tips and tricks to fight the darkness. Human beings’ internal clock usually coordinates with the sun. In our case, we cannot do that. Otherwise, we would be hibernating like bears all winter long. Given the circumstances, it’s important to keep your mind busy and to have a schedule that goes along with the needs of our bodies. In winter, work hours are shortened depending on your job. It’s true that while we are at the office, we are busy doing our work. We really don’t think about the sunlight that much. But we are all somewhat tired, exhausted and weak. Some call it asthenia. It is important to do your job properly, and for that, we need to take care of our mental well being. Having fewer working hours allows us to take on activities that provide a sense of health and wellness. That will keep depression at bay. Winter is cold and dark. It’s quite easy to become a couch potato when your body doesn’t feel like doing anything in this gloomy weather. Luckily, we’ve got some cool activities that are both engaging and help us to socialize. This is crucial for our mental health. One of those activities is heading to geothermal bathing areas. You probably already know how important geothermal bathing is for our culture. And now you know one of the reasons why. Unlike other sunnier countries, we cannot just head out and have some tapas with friends, or have a winter picnic in the mountains. It is windy, icy, snowy and dark. That is where geothermal hotpots become the perfect place to socialize. If it’s too cold outside, well, the waters are warm and relaxing! You can go to both indoor and outdoor municipal pools. It’s not a stretch to say that nearly every Icelander does that. We meet new people and our friends. We chat about anything that’s on our mind, we laugh, we share opinions. It all makes the burden much more bearable. I do love going to the pool every day to meet my friends in this cozy and warm atmosphere. The same idea applies to cafes. We love them! We’ve got tiny, comfy and intimate cafes throughout the country. Coffee keeps us warm and chatting keep us at ease. There’s no room for boredom! It can undermine your spirit. This past Christmas, you probably read about our tradition of giving books as gifts during the Christmas season. We then spend the night drinking hot cocoa and reading our brand new book. Iceland is the third most literate nation in the world. And did you know 1 out of 10 Icelanders will publish a book in their lifetimes? Is it because we are super intelligent? Well, not really. It is because we love reading and writing as a form of entertainment. That is a great way to wage against our harsh weather. It’s no wonder why the majority of books are sold between September and December. We need a whole catalog to devour in during the cold, dark months! Sunlight is very important as it triggers the body to produce certain vitamins that keep our bodies working properly. As daylight here is so scarce during the winter, we need to find it elsewhere. A little help from our diet never hurts! This liquid gold is cod liver oil. It’s not the tastiest thing you’ll ever try, but it is indeed a healthy one. 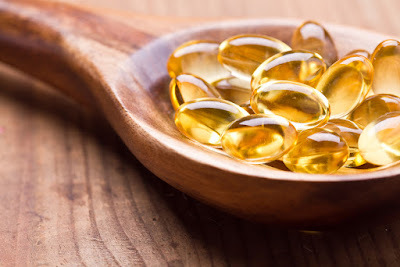 It provides us with high contents of omega-3 fatty acids, which are essential for both adults and children. It’s a classic Icelandic product. I remember how my mom uses to force feed me this yucky oil. Nowadays, I don’t really think it tastes that bad. We all need to get more vitamin A and D in our bodies and fruits are the perfect source. Why is vitamin D so important? Well, it helps the body to regulate calcium and phosphates, making it vital for our bones, teeth, and muscles. As you can see, there are several ways to alleviate those long stretches of darkness during winter. We are lucky to live in a stunning country with unique nature. So I guess that’s the price we’ve got to pay for living in it! If it’s too much to bear, you can always take a couple of days off and go on vacation. And of course go to a sunny, warm country where daylight is widely available. Then with your vitamin D recharged, go back to Iceland!